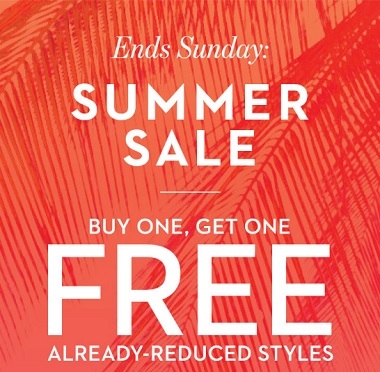 Don't miss out Summer Sale at U.S. Chico's stores an Chico's online. You can enjoy BOGO offer on already reduced styles, buy one and get one for free. Plus, take 25% off full-priced styles. Passport members take an extra 5% off. Source of the information is Chico's. Offer is valid until July 10, 2016. For more details see any Chico's store location in the U.S.